The number of beach resorts is growing in size and number, according to a special report about hospitality in the August issue of Lebanon Opportunities. Beach resorts are becoming bigger, more upscale, have more services, and greater accommodation options. Ghassan Abdallah, Secretary General of the Syndicate of Maritime Firms, said the number of resorts on the southern coastline has increased from three in the early 1990s to 58. The season began with a flurry of new beach venues in Damour, including Adam, Damour Country Club, Bella Mare, and Splash. Existing resorts are expanding. Miramar Hotel and Spa, in Qalamoun near Tripoli is building Miramar 2. The $5 million project has an area of 12,000 square meters (m2). A number of supersized resorts are in the pipeline. Kÿe beach resort in Tabarja is a 200,000 m2 project owned by Rise Properties and Saab Marina Holding. Investment in the project is $350 million, according to Salim Haddad, CEO of Rise Properties. 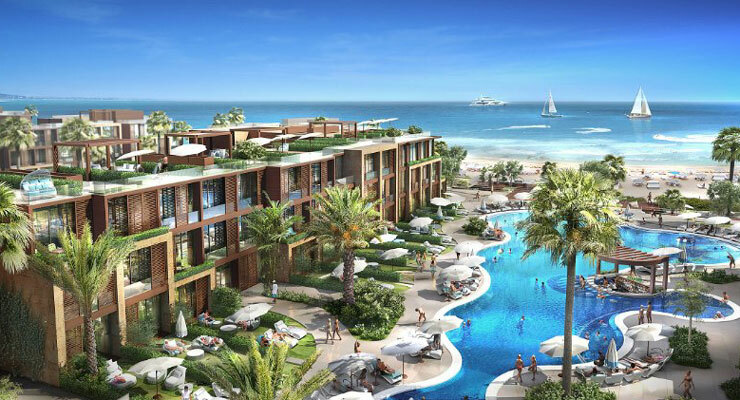 Galateia is another supersized beach resort under construction along the Zouk Mikhael coastline. The 64,000 m2 area includes 1,050 chalets, a commercial center, and boutique hotel. Resort owners are implementing alternative strategies to increase traffic and profit. Family recreation facilities and event and wedding venues are being added to increase demand.